According to a new study from Microsoft’s research organization, which analyzed anonymized data on people’s online activities and sleep behavior, a good night’s sleep really does help us do our best the next day, and a couple of bad nights of sleep could hurt us for days to come. 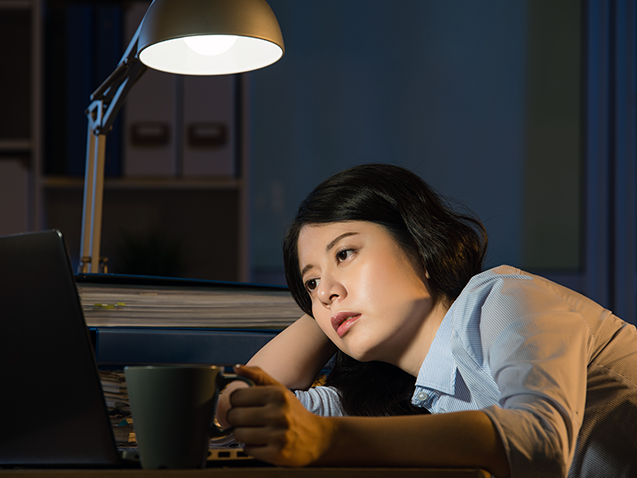 For example, the web-scale study confirms previous lab-based research that shows individual cognitive performance varies throughout the day, aligning with circadian rhythms and so-called chronotype traits – early birds achieve peak performance earlier in the day than night owls. Whenever people wake up, they are sluggish for the first hour or two of their day, a phenomenon known as sleep inertia. Across the board, keystroke and click speeds were slowest – by up to 31 percent – at 4 o’clock in the morning, an hour that previous research has shown that “your body thinks it should be sleeping,” said Althoff, who is pursuing a PhD in computer science at Stanford University. “The alignment with lab-based studies on circadian rhythms around sleep and performance is stunning and suggests that we can take sleep research forward and learn new things,” Horvitz said. The methods can be used to explore patterns of sleep deprivation and recovery, for example. The study also shows that staying up an extra hour, even if followed by a full night’s sleep, is correlated with slower performance the next day. 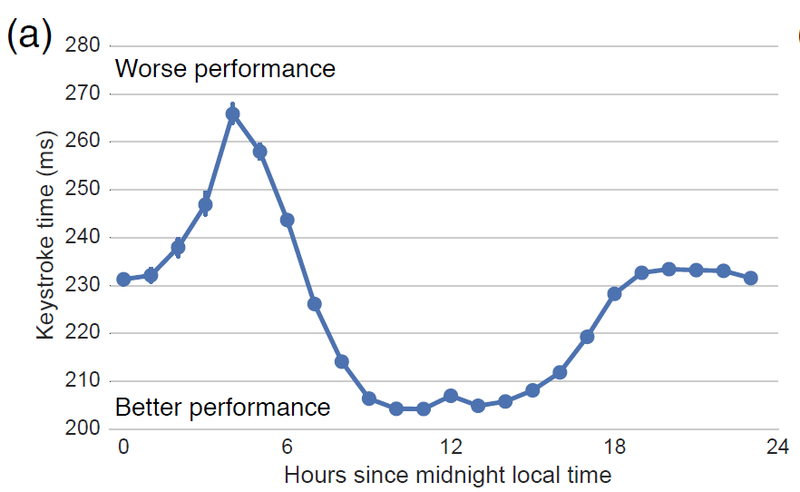 Going to bed an hour earlier than normal, however, has a negligible effect. « NEWS: Stop downloading Azure invoices – Get them emailed directly to you!